June 21-24. St Hugh’s College, Oxford. 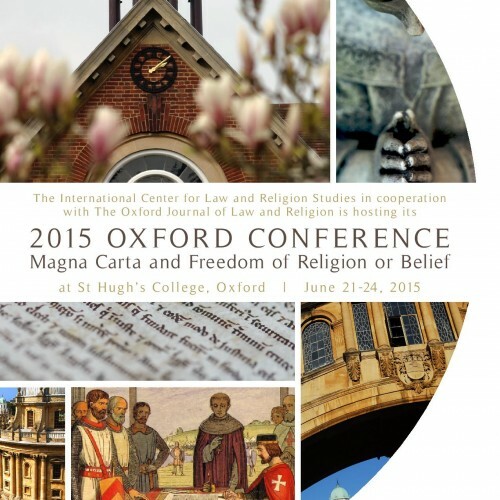 Hosted by the International Center for Law and Religion Studies, in cooperation with The Oxford Journal of Law and Religion. Join leading academics, policymakers, lawyers, and students for a conference commemorating the 800th anniversary of the Magna Carta. The conference, which includes presentations and visits to Runnymede and the Inns of Court, will address a blend of historical and current issues. For further highlights and to register for the event, please visit the website, or email wrightde@law.byu.edu.uk.